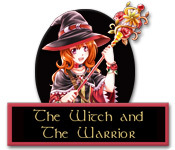 The Witch and The Warrior is rated 4.6 out of 5 by 12. Rated 5 out of 5 by shasta13 from If you like Aveyond, you'll like this game Loved it, the story line kept me interested until the end. Long enough that I felt I got my money's worth and not too challenging. I like that you can choose your level of difficulty. Rated 5 out of 5 by AdrianaIP from Nice story to play slowly The graphics are primitive but pretty. The battles, not precisely gripping. But the storyline is great. Plenty of side trips, pelnty of characters, plenty of different directions for you character to take. She is growing up and making more and more seriouls decisions. And while the visuals and mood may be primitive, the characterization and storyline are not. This is best played slowly, in differnt stages, so that you can do the exploring you want and roam all over, until you figure out what to do. Who knows, in your wandering, you may get yet another quest. Great fun for a long time. Rated 5 out of 5 by sothimk from Simply Wonderful This is my favorite RPG so far. Like any RPG, there are features that won't appeal to everybody. To get through the game and to make a dent in the side quests, you have to look EVERYWHERE and talk to EVERYONE and keep track of all of it. The lands you explore are large and there are a lot of them. Like other RPGs you have to make choices that will affect things later in the game. These choices won't prevent you from winning, but they could prevent you from completing all the side quests. But if you enjoy that style of game, this game is well done and will keep you going for a good long time. In particular, this game avoided a tedious and irritating problem I found in all the other RPGs. In the other RPGs, I've had to replay some levels dozens of times for no other reason than to power up my characters. This game is so well paced that it completely avoids that problem. Also, the story line is really good. It starts out going in one direction and slowly evolves into something else. If you like RPGs try this one. Rated 5 out of 5 by Nijimasu from After school is more fun Similar to the Aveyond and Ella's Hope games, this is a straightforward RPG with tons of sidequests, some of which are time-sensitive. A choice of familiars (pets) encourages you to replay the game. The story ending gives a feeling of completeness. If going to school every day turns you off, keep playing until you are let loose! Rated 5 out of 5 by darkreaper5000 from Amazingly fun game to play I had an amazing time playing this game. I even ended up restarting it and played it a second time just to get all the side quests. This reminds me a lot of just how great the Aveyond series was and i'm proud to share this game with my friends and family. Rated 5 out of 5 by HopeM2 from Cute RPG Underrated role playing game, like the Aveyound series. Very cute and fun. Rated 5 out of 5 by Katiendan from Loved It! I really enjoyed playing this old-time rpg game - it was fun and had a great story line - and I also liked that it was a relatively long game (I wasn't done in a few days like many other games). If you like Aveyond I think you'll enjoy this game as well. 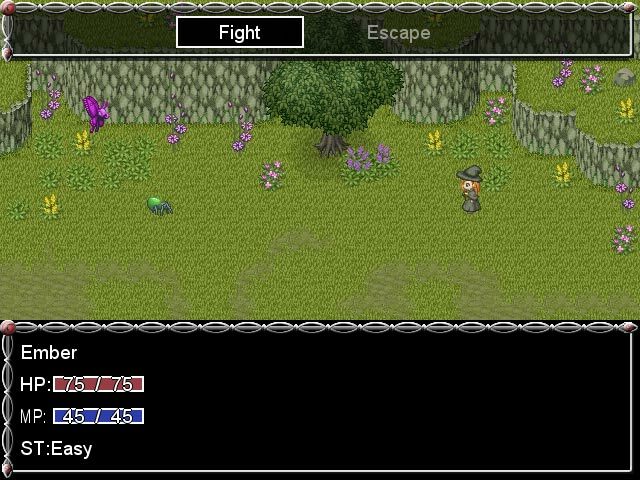 Rated 5 out of 5 by Orangetwice from Witch and Warrior Adventure This is my first attempt with this style of adventure game. You are placed in a world with hundreds of different places and an ever expanding list of tasks. Your strength and experience levels grow over time as you explore and work towards mission goals. It is a very long game and has multiple endings. You want to save yourself often. I have discovered later that the game engine is used in several other games. Rated 4 out of 5 by eedebeep from Pretty good RPG but misses being great This RPG is based around students at a war and magic school, and has an interesting plot. The title is misleading, the game is 85% witch. You have several party members to choose from, but only your active party members level up so you need to stick with the same 4 if you want party members with strength. Every one has some magic ability, and you gain spells as you level up. The witch gets an animal familiar, you can pick from several choices. This character finds you things and can be a great asset in battles. However there are no objects available to use in battle, it is all spells or fighting ability. What is frustrating about this game is that you must search very carefully for side quests. If you miss the moment to trigger one, the opportunity is gone for the rest of the game. Same with fulfilling the side quest, you can miss the chance forever easily. My advice is to not go to sleep ( in the game) until you have searched all available areas (even if you have already done so). Also seek out all battles regardless of the characters' advice. 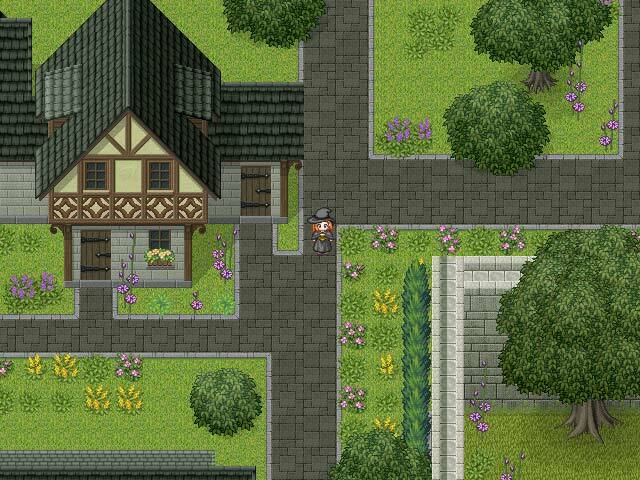 Still, a classic RPG in the manner of Aveyond and hours of fun.